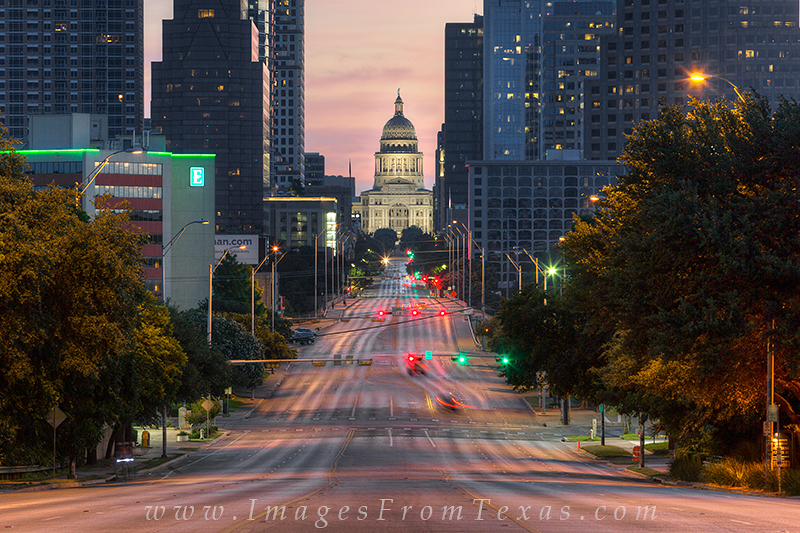 This Texas State Capitol image was captured from South Congress Avenue. Traffic is light in the early morning on the weekends, and this is the only time I'd attemp this. The Austin Skyline rises on each side of the capitol, but I went with a zoom on this image to focus more on the capitol building. Photo © copyright by Rob Greebon.